This project was funded by the Federal Ministry of Education and Research of Germany (BMBF, grand number 13GW0019E). The official project profile can be found here (in German). Majdani O., Kluge M., Kreul D., Lexow J., Lenarz T., Rau Th. (2018b): Technical accuracy of the stereotactic minimally invasive “RoboJig” system for CI surgery. 5th International Conference on Cochlear Implants and Other Implantable Auditory Technology (CI 2018), June 27-30, Antwerp, Belgium. Majdani O., Kluge M., Kreul D., Lexow J., Lenarz Th., Rau Th. (2018a): Clinical assessment of the positioning accuracy of the RoboJig system by comparison with anatomical and surgical constraints. 89th Annual Meeting German Society of Oto-Rhino-Laryngology, Head and Neck Surgery, Mai 9-12, Lübeck, Germany. [DOI]. John S., Kluge M., Erfurt P., Müller S., Lexow J., Kahrs L. A., Rau Th., Ortmaier T., Majdani O., Lenarz Th. (2018a): Feasibility of a Simple, Safe, and High-Precision Approach to Minimally Invasive Cochlear Implantation. In Proc. Association for Research in Otolaryngology (ARO) Vol 41:236-237. Majdani O., Kluge M., Lexow G., John S., Kahrs L. A., Ortmaier T., Müller S., Gaa J., Nülle K., Lenarz Th., Rau Th. S. (2017c): Minimally invasive, mini-stereotactic approach for Cochlear Implant Surgery (CI): RoboJig. In: Proc. of 16th Annual Meeting of the German Society for Computer and Robot Assisted Surgery (CURAC), October 05-07, Hannover. Pages 37-38. ISBN 978-3-95900-158-8. John S., Schurzig D., Alcacer-Labrador D., Timm M. E., Rau Th. S., Lenarz Th. (2017): Combining Surgical Expertise and Statistical Results for the Clinical Evaluation of the Cochlear Size and Shape. In: Proc. of 16th Annual Meeting of the German Society for Computer and Robot Assisted Surgery (CURAC), October 05-07, Hannover. Pages 101-105. ISBN 978-3-95900-158-8. Kluge M., Lexow G. J., Lenarz Th., Majdani O., Rau Th. S. (2017b): Untersuchung zur Genauigkeit des intraoperativen Fertigungssystems für den RoboJig. In: Proc. of 16th Annual Meeting of the German Society for Computer and Robot Assisted Surgery (CURAC), October 05-07, Hannover. Pages 262-265. ISBN 978-3-95900-158-8. Lexow G. J., Kluge M., Majdani O., Lenarz Th., Rau Th. S. (2017a): Phantom-based evaluation method for surgical assistance devices in minimally-invasive cochlear implantation. In Proc. 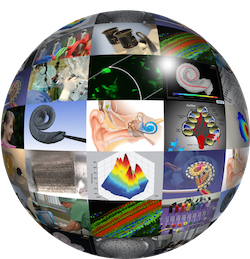 SPIE Medical Imaging 2017: Image-Guided Procedures, Robotic Interventions, and Modeling. 101352N. [DOI]. Kluge M., Rau Th. S., Lexow J., Kahrs L. A., Kobler J.-P., Ortmaier T., Lenarz Th., Majdani O. (2017a): Eine iterative Entwicklung eines Mini-Stereotaxiesystems für die laterale Schädelbasis. In: Proc. 88th Annual Meeting of the German Society of Oto-Rhino-Laryngology, Head and Neck Surgery, May 24-27, Erfurt. [DOI]. Majdani O., Kluge M., Lexow G. J., John S., Kahrs L. A., Ortmaier T., Müller S., Lenarz Th., Rau, Th. S. (2017b): Minimally invasive, mini-stereotactic approach for Cochlear Implant Surgery: RoboJIG. In: Tagungsband Festival della Scienza Medica, April 20-23, Bologna. Kluge M., Wellers J.-N., Lexow G. J., Lenarz Th., Müller S., Ortmaier T., Kahrs L. A., Majdani O., Rau Th. S. (2016): Experimentelle Untersuchung zur Bohrgenauigkeit von Spiralbohrern in Knochenersatzmaterial für die minimal-invasive Cochleaimplantat Chirurgie. In: Ansó J. et. al (Hrsg. ): Proc. of 15th Annual Meeting of the German Society for Computer and Robot Assisted Surgery (CURAC), September 29 to October 1, Bern. pp. 164-169. Lexow G. J., Rau Th. S., Kluge M., Majdani O. (2016): Kostengünstige Methoden zum Auffinden präoperativ geplanter Punkte an der lateralen Schädelbasis. In: Ansó J. et. al (Hrsg. ): Proc. of 15th Annual Meeting of the German Society for Computer and Robot Assisted Surgery (CURAC), September 29 to October 1, Bern. Seiten 272-276. John S., Rau Th. S., Kluge M., Lexow J., Gaa J., Müller S., Kahrs L., Majdani O., Ortmaier T., Lenarz T. (2016): Designkonzept und daraus abgeleitete Prototypen für eine resthörerhaltende, minimal-invasive CI Operationsstrategie „RoboJig“. In Proc. 87th Annual Meeting German Society of Oto-Rhino-Laryngology, Head and Neck Surgery, May 04-07, Düsseldorf. Kluge M., Rau Th. S., Lexow G. J., Kobler J.-P., John S., Lenarz Th., Ortmaier T., Kahrs L. A., Majdani O. (2015): Anatomische Bauraumanalyse für knochenverankerte Mini-Stereotaxiesysteme der lateralen Schädelbasis. In: Proc. of 14th Annual Meeting of the German Society for Computer and Robot Assisted Surgery (CURAC), September 17-19, Bremen. Seiten 337-342. John S., Kluge M., Kobler J.-K., Rau Th. S. Lexow J., Gaa J., Müller S., Kahrs L., Majdani O., Ortmaier T., Lenarz Th. (2015): Towards minimally invasive cochlea implantation by individualized mini-stereotactic frames for children and adults. 12th European Symposium Pediatric Cochlear Implant (ESPCI 2015), June 18-21, Toulouse. John S., Kluge M., Kobler J. P., Lexow J., Rau Th. S., Gaa J., Müller S., Kahrs L., Majdani O., Ortmaier T., Lenarz T. (2015): RoboJiG – Overview and Design Decisions for a New Integrated, Minimally Invasive CI Surgery Strategy. 3rd Congress of European ORL-HNS, June 07-11, Prag. Majdani O., John S., Kluge M., Kobler J.-P., Lexow J., Gaa J., Müller S., Kahrs L., Ortmaier T., Lenarz T., Rau Th. S. (2015): A novel individualized stereotactic frame for minimally invasive Cochlear Implant Surgery. In: Proc. 49th Annual Conference of the German Society for Biomedical Engineering (BMT), September 16-18, Lübeck.